Lake Toba is a volcanic lake with a length of 100 kilometers and 30 kilometers wide, located in North Sumatra Province, Indonesia. This lake is the largest lake in Indonesia and Southeast Asia. 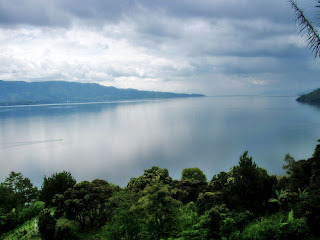 In the middle of this lake there is a volcanic island called Samosir Island. Lake Toba has long been an important tourist destination in North Sumatra, Bukit Lawang and Nias in addition, attract domestic and foreign tourists. It is estimated that Lake Toba explosion occurred at about 73000-75000 years ago and is an eruption (super volcano) the most recent. Bill Rose and Craig Chesner from Michigan Technological University estimate that the materials spewed volcanic mountain as much as 2800 km ³, with 800 km ³ of rock overlies and 2,000 km ³ of volcanic ash that is expected in the wind to the west for 2 weeks. Volcanic dust in the wind has spread to half the earth, from China to South Africa. The explosion occurred during a week and throw the dust up to 10 km above sea level. This incident caused mass death and the extinction of some species was also followed. According to some DNA evidence, this eruption also reduced the number of people to about 60% of the total human population of the earth at that time, which is about 60 million people. The eruption also caused the ice age, although experts are still debating. 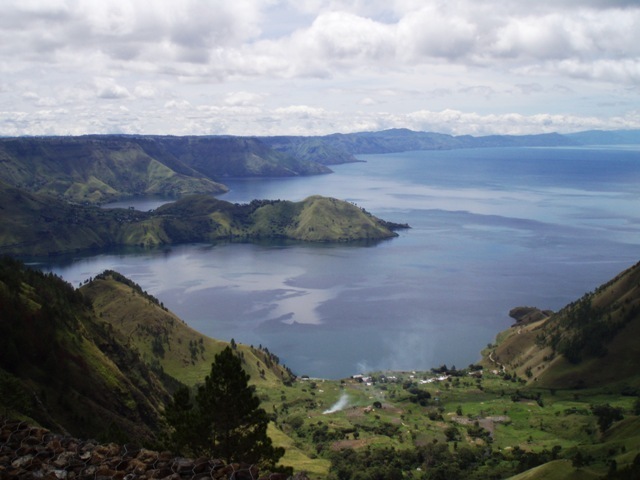 After the eruption, the caldera formed which is then filled with water and became what is now known as Lake Toba. Upward pressure by the magma that has not come out cause the appearance of Samosir Island. International multidisciplinary research team, led by Dr. Michael Petraglia, revealed in a press conference in Oxford, the United States that has found a new archaeological sites are quite spectacular by the geologist in the south and north India. On the site that revealed how people survive, before and after volcanic eruptions (Supervolcano) at Toba 74,000 years ago, and evidence of life under the ash heap of Mount Toba. Though the source of the eruption within 3,000 miles, from the distribution of ashes. For seven years, experts from Oxford University studied the ecosystem project in India, to look for evidence of life and the lives they left behind equipment in a barren desert. Area with thousands of hectares of this area was just savanna (grassland). While the scattered bones of animals. The team concluded, is a quite large area was covered with dust from ancient volcanic eruptions. The spread of volcanic dust is very widespread, found almost worldwide. 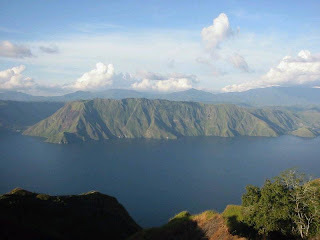 Derived from an ancient eruption Supervolcano, namely Mount Toba. 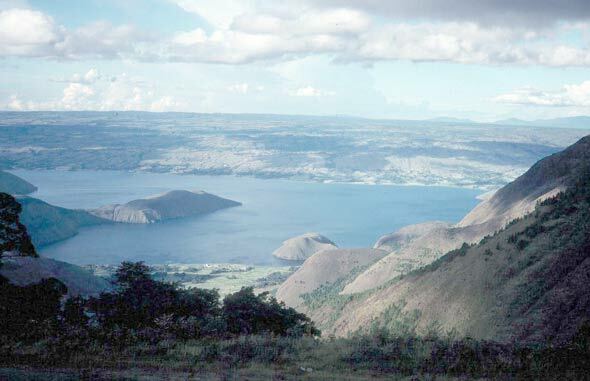 Allegations leading to the Mount Toba, because it found evidence of volcanic dust molecules in the same 2100 period. Since the caldera crater is now a lake Toba in Indonesia, up to 3000 miles, from the source of the eruption. In fact, surprisingly enough, it turns out that the spread of dust to be recorded up to the North Pole. This is reminiscent of the experts, how powerful the super volcano Toba eruption at that time.